The Country French Armoire is a multi-function armoire featuring bi-fold doors, (4) adjustable shelves on the interior, and (4) drawers on full extension glides on the exterior. French style abounds with raised paneled doors and side moldings, crown molding, scrolled base molding, and cabriole bun feet. 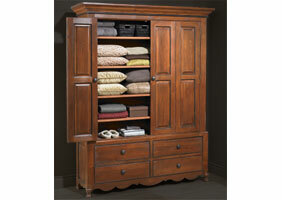 Ideal for clothing storage, this bedroom armoire can also be adjusted to hold a flat screen TV in the upper cabinet. The Country French Armoire is a multi-functional wardrobe featuring bi-fold doors that fold back and out of the way when open. 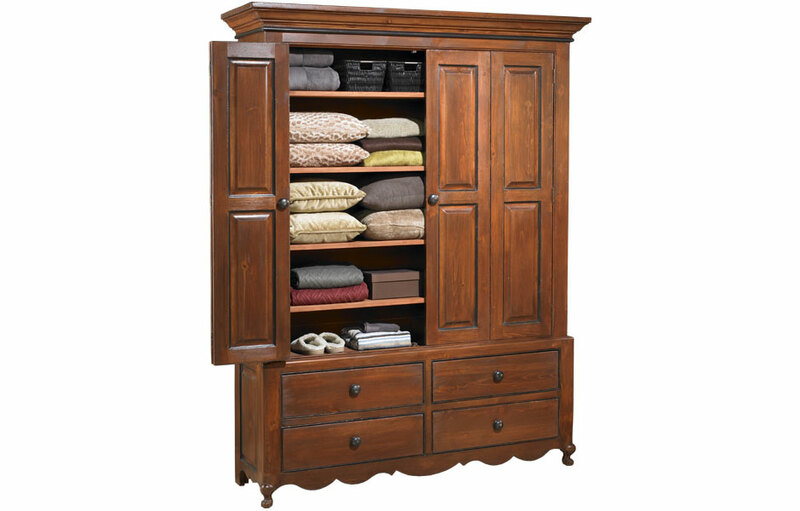 Ideal for bedroom storage, this clothing armoire can also be adjusted to hold a flat screen TV on the upper adjustable shelves. Elegantly French-styled wardrobe features raised panel doors and side moldings, crown molding, scrolled base molding and cabriole bun feet. The interior features (4) adjustable shelves for folded storage. 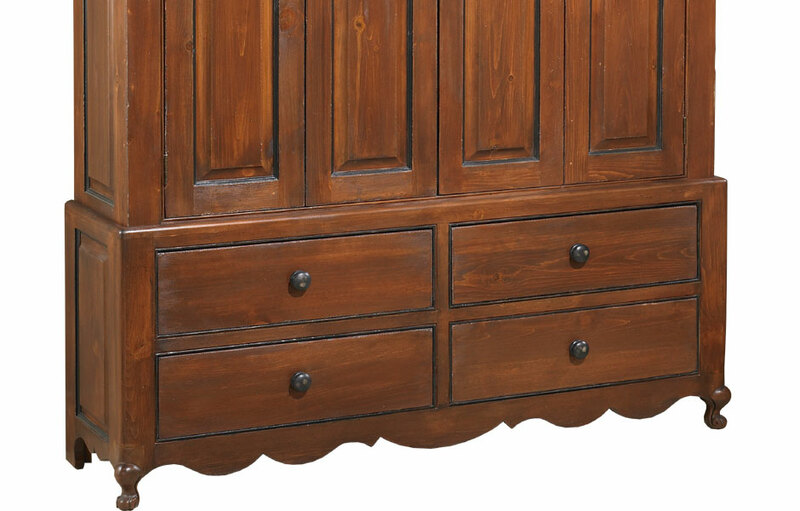 The large clothing armoire has four additional full-size storage drawers that fully extend on glides—making it the most versatile storage piece in your bedroom. 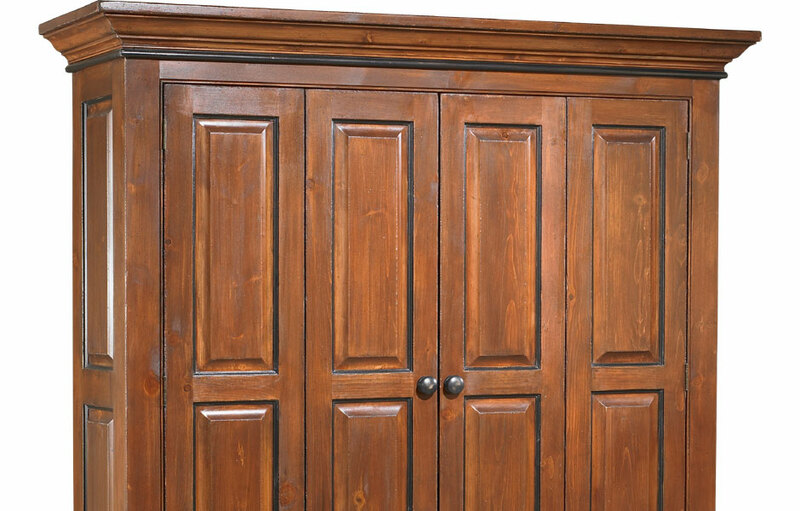 This large wardrobe provides lots of room for all your finery and goods. The grand upper cabinet with lower storage drawers make the wardrobe a perfect replacement for a traditional dresser and media console in a bedroom. The elegant French-style wardrobe can be painted in a classic two-tone finish with a stained interior and top with painted exterior, or all-over one color finish. 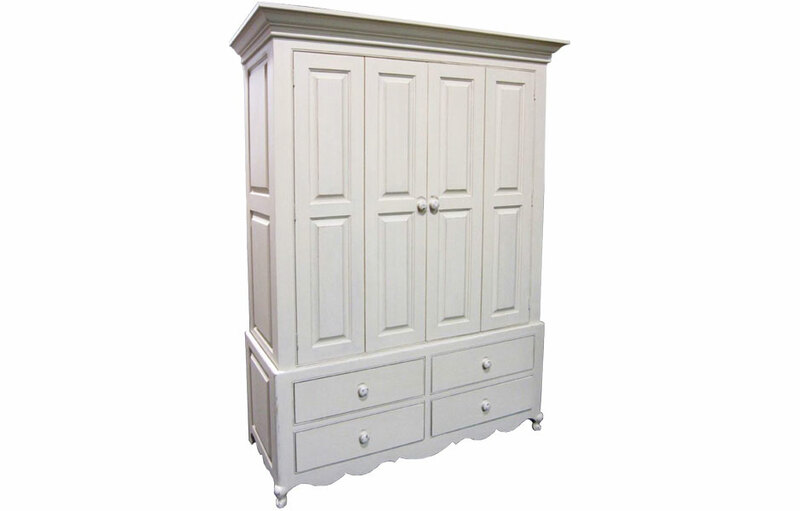 The Country French Wardrobe complements French Country, English Cottage, Farmhouse, Rustic, Transitional and Traditional style decors. 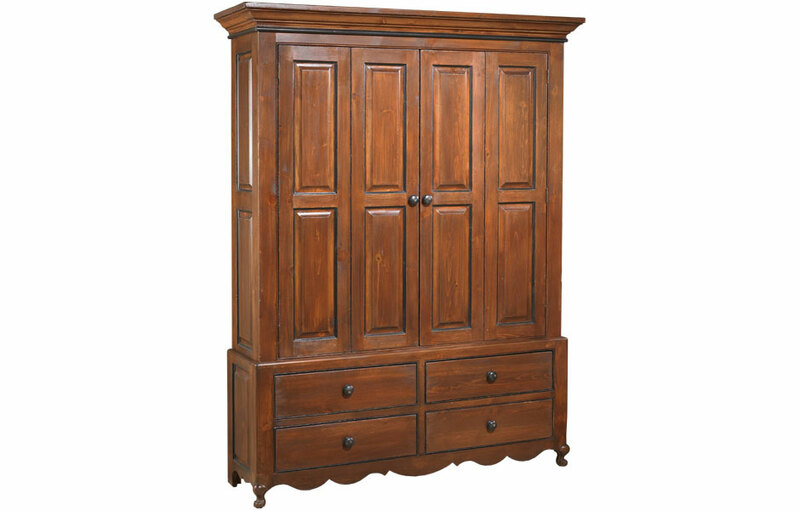 Country French Armoire finished in Tuscan Sunset an Aged Finish.